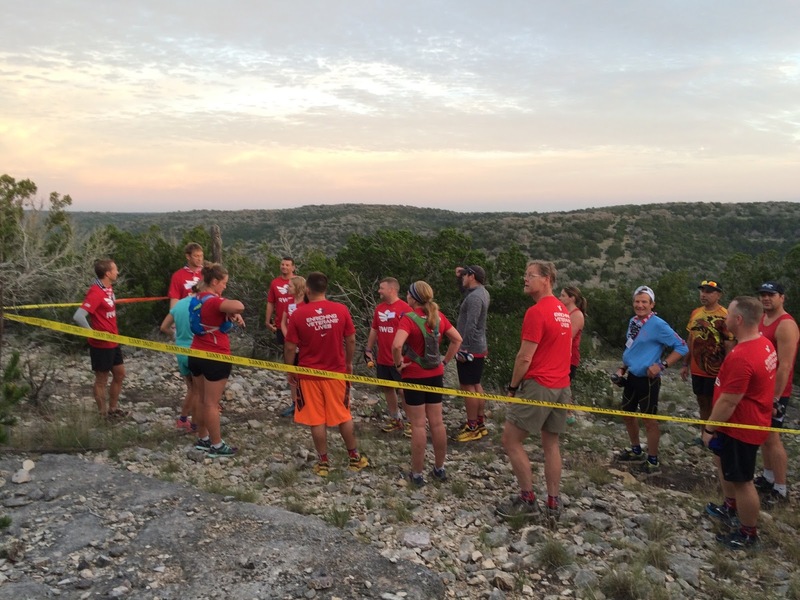 This past weekend I had the honour in attending the Team Red White & Blue trail running camp in Rocksprings, Texas. I was lucky enough to be asked to take part by fellow Sharman Ultra coach, Liza Howard who is one of the main organsiers behind this annual camp - she assured me that I didn't need to do much other than show up, be enthusiastic and chat trail running - well, I think I could manage that! 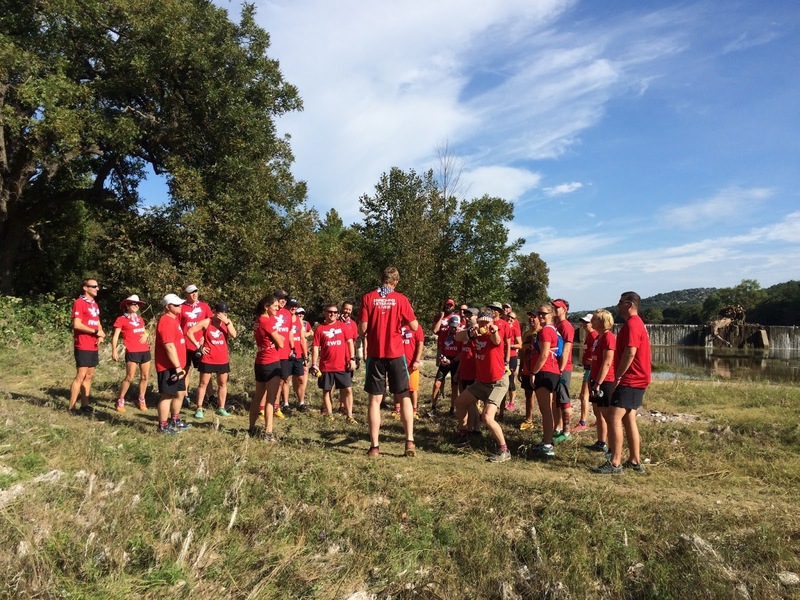 As explained on their website the Team RWB trail running camp is 'a camp of learning about the sport of trail running and the joys of the active life. 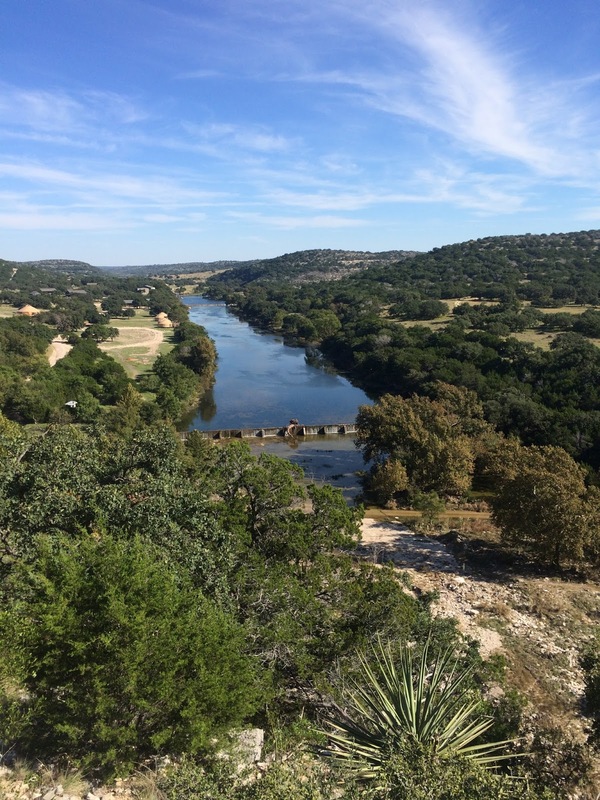 A camp to help veterans reintegrate and reconnect with the civilian life. A camp to showcase community, compassion, and the connectivity of all of us'. 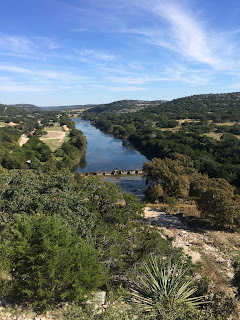 As someone who is neither American nor at all involved with the military it was a little step into the unknown for me, but as soon as we arrived at Camp Eagle (some two hours drive outside of San Antonio, TX) I knew it would be a super weekend. The camp was pretty much in the middle of nowhere and yet we had all that we needed - comfortable bunk cabins, great food and plenty of trails to explore, and a somewhat unreliable wifi connection to ensure we could stay connected with the outside world when needs be, but on a very minimal basis. Perfect. Chris - friendly giant and group B leader - educating our pack mid trail. 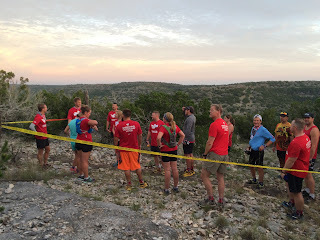 Discussing trail techniques on the run. 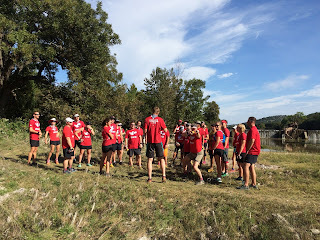 The campers and mentors were split into 4 groups based in running ability, but there were plenty of times throughout the weekend that the groups mixed so it never felt that we were divided based on how fast or how 'good' a runner you were. I was with group B (purple power!) - runners who had some running and likely trail experience but certainly not folks who were big time ultra runners. Sure some had run a few 50ks or so, but had maybe then taken a break, or some had never put their running shoes on a trail but were quite experienced road runners. It was such a delight to see folks learn about technical trail running skills, tentatively jog down a rocky trail and then most of all see their smiles at the end of each day as they slowly learned more and more and gained confidence with what they could do. 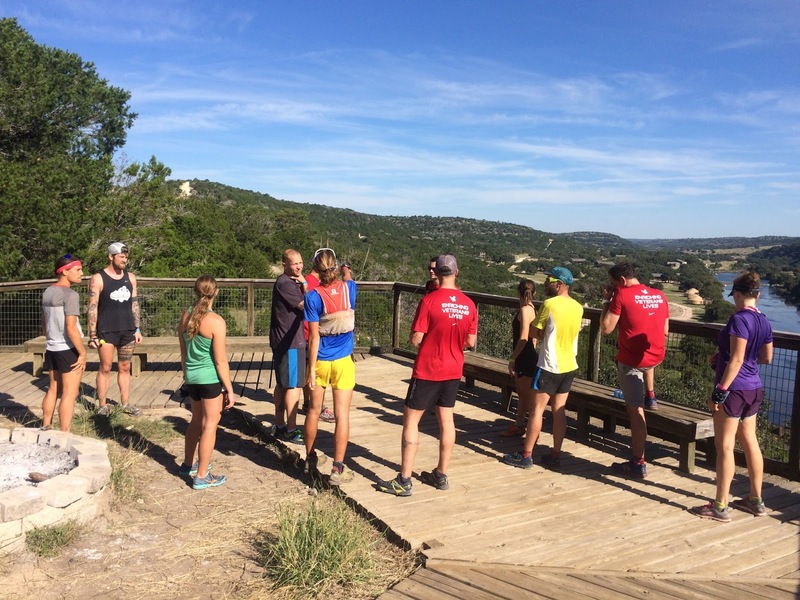 But just as much time was spent in workshops as on the trail - how to run downhill, how to run uphill, nutrition for running, strength training, and so the list goes on. More often than not I felt like I was the one learning too, through great discussions and presentations with experts like Liza Howard, Alison & Jason Bryant, Meredith Terranova, Joe Uhan and others. 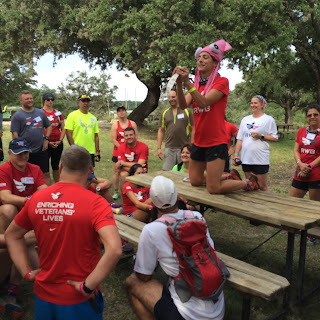 Of course, it is never possible to cover everything over the space of three days but certainly the camp equipped participants with the basic knowledge and tools to take back to their own regional chapters of Team RWB. 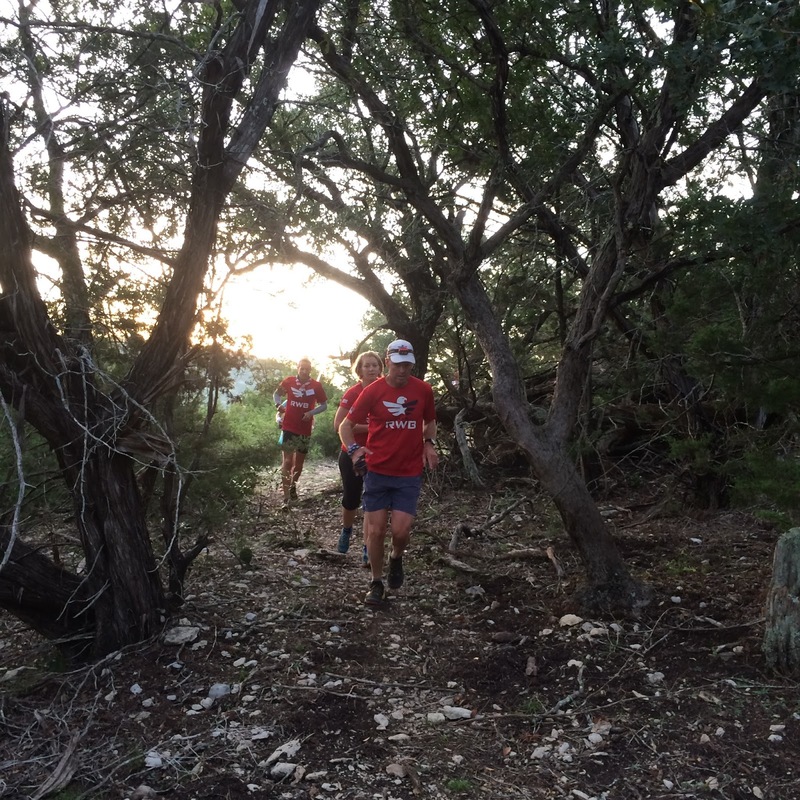 Matt Hart and Mike Ehredt, camp mentors, leading the pack. Google this man. Mike Ehredt. He's run the length and breadth of the USA ... and planted a flag every mile to commemorate those lost in Iraq and Afghanistan. He's a super person too. We all made it down that trail ... with no spills! 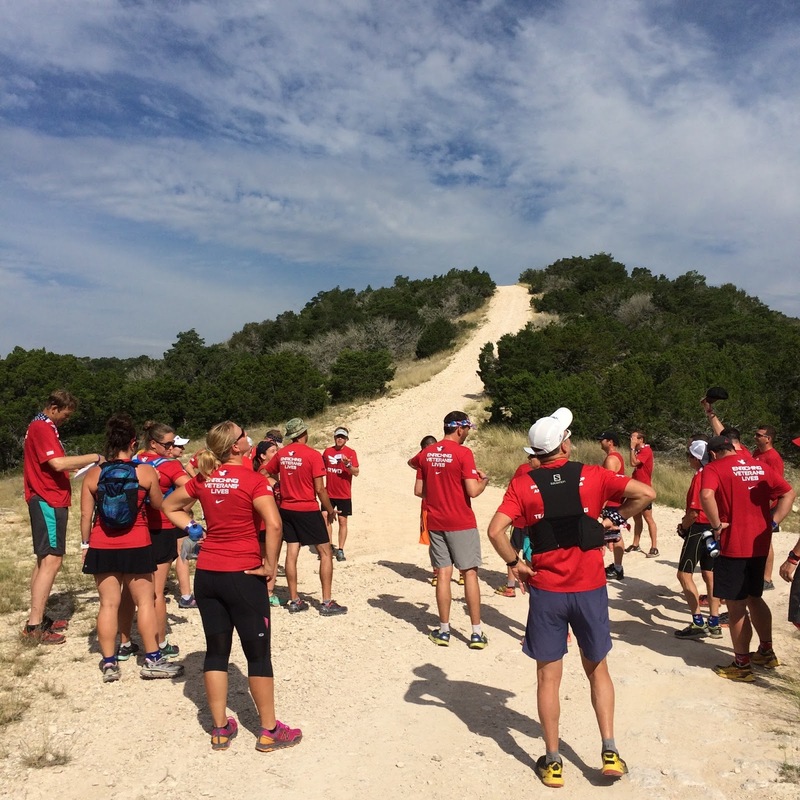 Final morning run, a chance to say goodbye to some super trails and some super people. 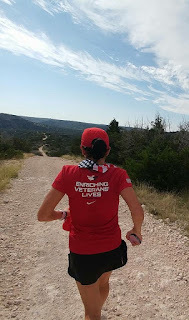 This is BAD running form ... drop those shoulders, Ellie! But the trail was a treat. 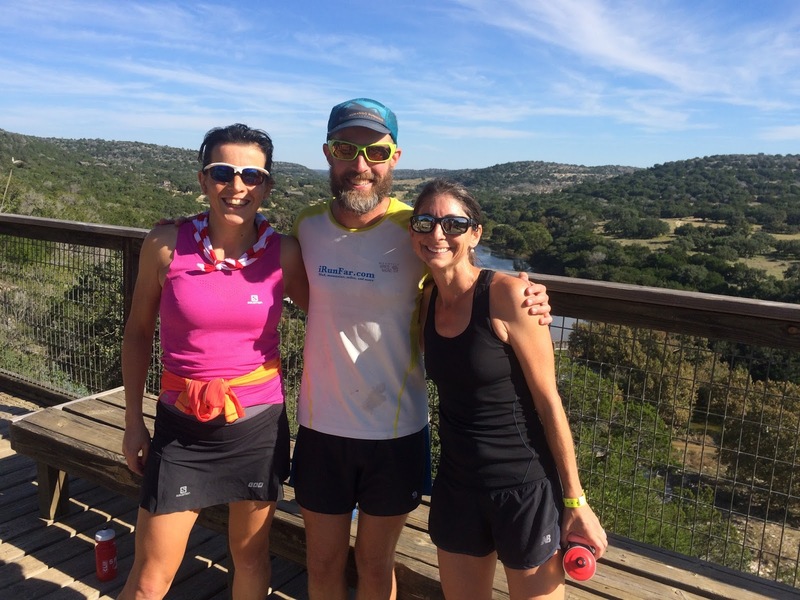 With fellow Sharman Ultra coaches and camp mentors, Sean Meissner and Liza Howard. 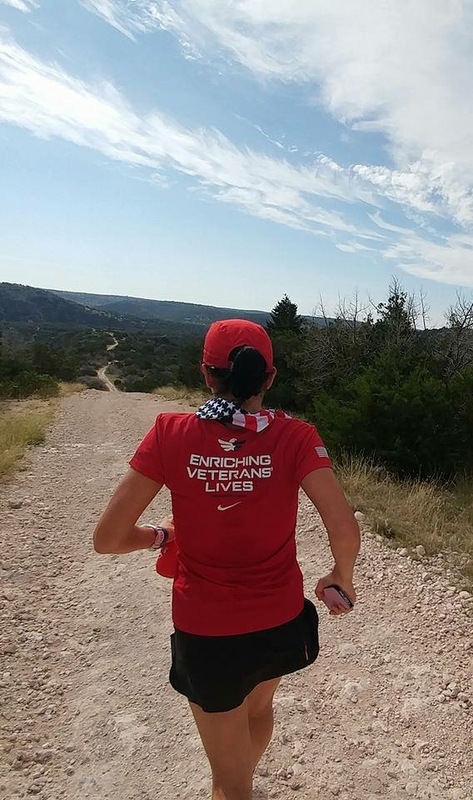 Ellie, it was a real treat to meet you and run some miles together. 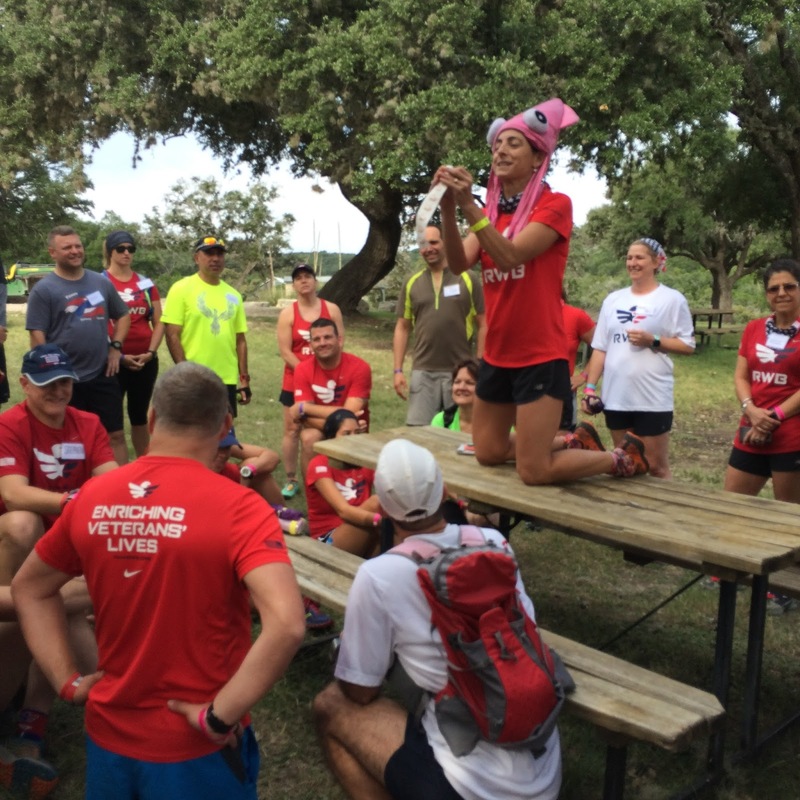 Thank you for taking time out of your schedule to get to know Team RWB. One of the highlights was watching you ATTACK the obstacle course. 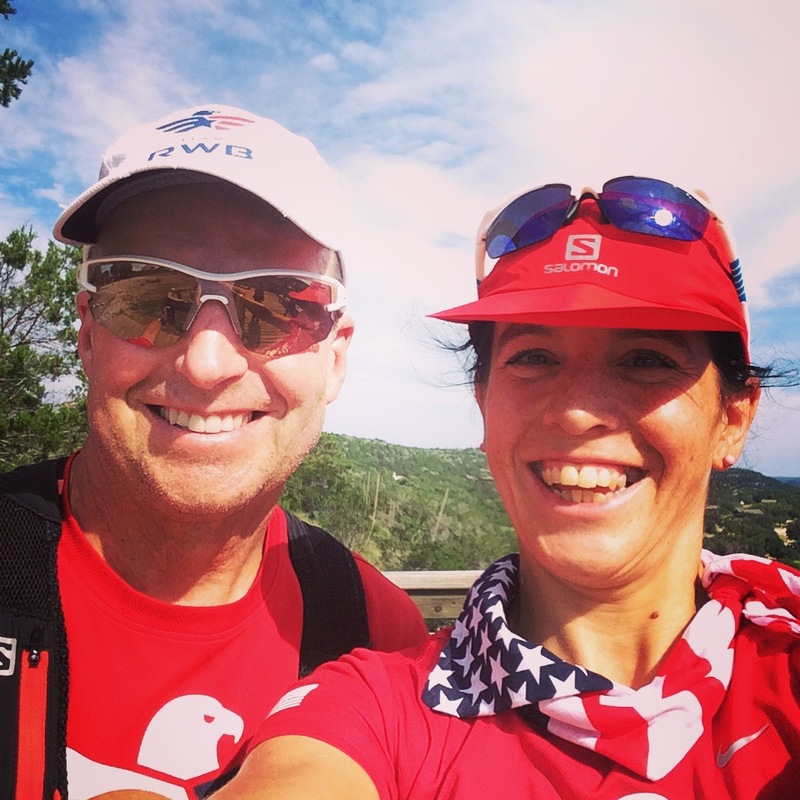 I feel sorry for anyone who has to ever compete against someone so fierce in an ultra :-D Thinking back to our conversations will help motivate me in my training and racing going forward. Hope your recovery is complete soon and we can see you back to form. Thanks again for being so awesome! Soon-Chui - great to meet you, good luck with your upcoming races. Hey, I might take up obstacle racing from now on - running fast is fun ;) ! Fantastic post! Full of useful and important hints and tips.